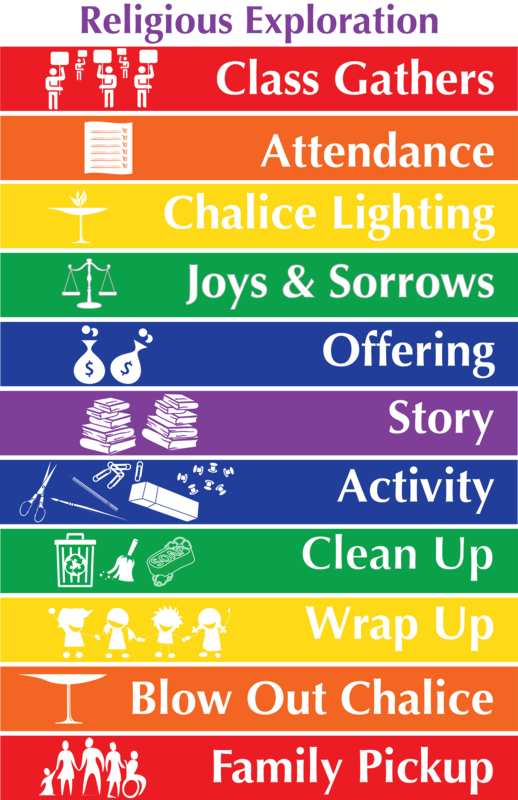 I spent time this past week designing a visual schedule to put in the Religious Exploration program’s class spaces. We wanted something that helped to remind everyone in the class what the order of the day should be. We also wanted to make sure that those who couldn’t read would be able to follow the schedule. The poster below is what I came up with, designed to be printed on 11×17 paper, though we’re considering blowing them up to full poster size.